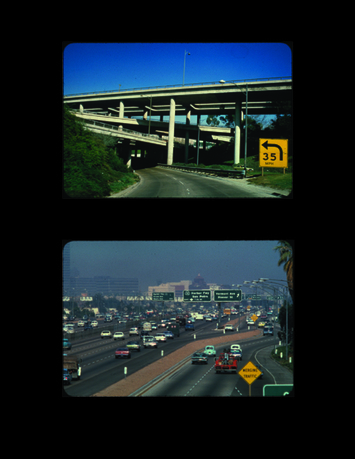 Roger Webster / Environmental Communications, Selections from Category "Pollution: Mobile: Freeways," Los Angeles, CA, USA. © Environmental Communications. 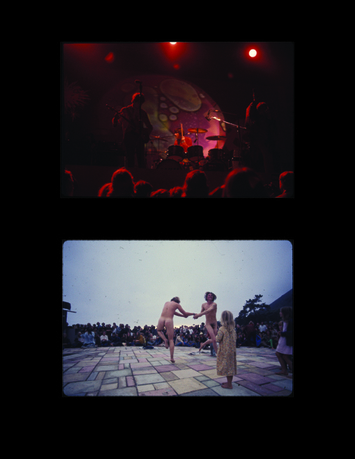 Long Shot focuses on the West Coast collective Environmental Communications and will assemble evidence that the group invented a radical new visual syntax of the Los Angeles environment in the 1960's and 1970's. Working with the EC archive, which includes hundreds of thousands of serial images of the city's environmental geography, we propose to analyze the collection's idiosyncratic organization, as well as the important and original form of environmental design the archive represents. 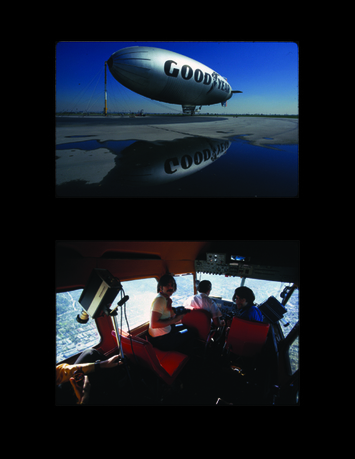 Based on this study, a guide will be produced for Environmental Communications that will articulate the relationship among several critical and overlapping systems of organization: the taxonomies of the archive itself, the network of Los Angeles-based collectives of the 1970's, and the group's extensive distribution of slide images to architectural schools, which was EC's subversive contribution to the McLuhan-inspired domain of audio-visual education. Marcos Sánchez received a bachelor's of arts in architecture from the University of California, Berkeley, and a master's of architecture from Princeton University. He is on faculty at the University of Southern California and the Southern California Institute of Architecture (SCI-Arc) in Los Angeles. Mark Wasiuta received a bachelor's of architecture from the University of British Columbia, a master's of architecture from Princeton University, and is currently on the faculty at Columbia University's GSAPP, where he is also director of exhibitions. Both Sánchez and Wasiuta are trained as architects and have broad experience as designers in professional offices and with individually directed design and research projects.Their collaborative identity is IHA, the International House of Architecture. This collaboration has been primarily invested in defining new forms of architectural research, design, and practice through a series of archival explorations. One recent projectInversion Layer examined the archives of the Air Quality Management Division in Los Angeles, with the goal of furnishing data that would allow for the reproduction of historical smog. House Arrest, a project developed with the support of the Graham Foundation, examined the complex intersection between police surveillance, green technologies, suburban architecture, and energy privacy in the San Fernando Valley.